Falona Joy | SNP Strategies, Inc.
Falona Joy’s passion for the not-profit sector began with her leadership of delegations to the United Nations in Geneva Switzerland to address issues of human rights for minority populations within the United States and abroad. She now channels her passion for social justice into the SNP consulting practice designed to build the vitality of non-profit institutions; and increase the ability of non profits leaders to achieve their mission and vision. In her role as President and CEO for SNP Strategies, Falona guides organizations of all sizes through building a strong governing board, ensuring organizational relevance, and developing strategies to sustain impact. Before founding SNP, Falona served as Vice President of the Alford Group, a national consultancy focused exclusively on the not-for-profit sector. In this role, Falona supported a variety of clients, including Chicago Metropolis 2020’s Burnham Centennial, the Museum of Science and Industry, DuSable Museum, and many others to plan and launch transformational initiatives. 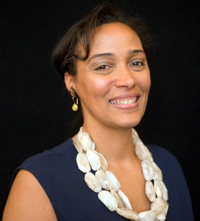 Prior to her career in consulting, Falona served as the founding Executive Director of the National Park Foundation’s African American Experience Fund (AAEF) where she developed a leadership team, a grants program and the philanthropic support needed to position a replicable strategy for the National Park Service to effectively reach diverse constituencies. As a volunteer, Falona is an Officer of the Illinois Humanities Council, Board member of the Chicago History Museum and Committee member of the African Women’s Development Fund. Falona is a Certified Fund Raising Executive (CFRE) with the Association of Fundraising Professionals; received her BA with honors from Stanford University in Political Science with a concentration in International Relations and Public Policy; and is the recipient of the 2007 Milton Murray Fellowship Award to conduct executive leadership education at the Kellogg School of Management and Harvard Business School. SNP brings passion and commitment to our partnership and has expanded our understanding of what is possible. With their support, we received our first million dollar gift and have raised more money than we could have ever imagined. We are now ready to infuse what we learned from this campaign into an even bolder vision.